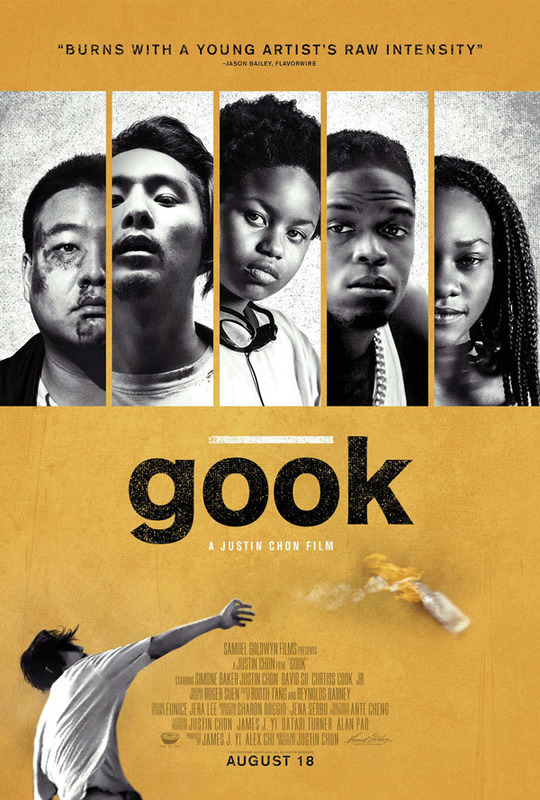 "GOOK" is a dramedy about Eli and Daniel, two Korean American brothers, who own a struggling shoe store and their unique and unlikely friendship with Kamilla, an 11 year old African American girl. The film opens with Eli scoring a stash of fresh sneakers as his golden ticket to get out of debt and fix his biggest problem: keeping his dad’s shoe store open. Against her brother Keith’s warnings, Kamilla ditches school again to help out at the shoe store, her mother’s former workplace. Everything is going as planned until Kamilla accidentally reveals a gifted pair of expensive sneakers to Keith. Keith realizes Kamilla has been going to the shoe store. Out of anger towards Eli and Daniel he uses this opportunity as revenge and plans to steal all the shoes. Eli must make the ultimate decision for the future of the store and the people he loves. With the chaos of the LA Riots moving towards them, the trio are forced to defend their store against Keith while contemplating the future of their own personal dreams and the true meaning of family.